► The best driver's car? 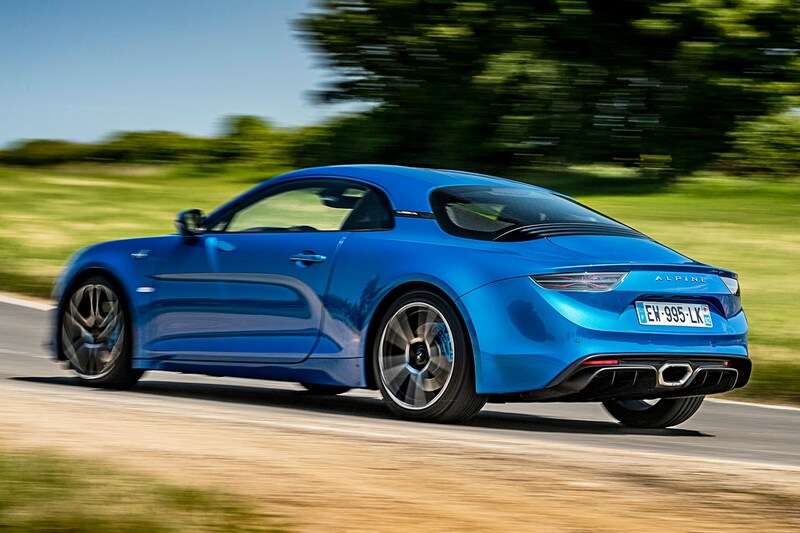 Pure sports cars are rare these days, but their ranks have just been boosted by the arrival of the Alpine A110. 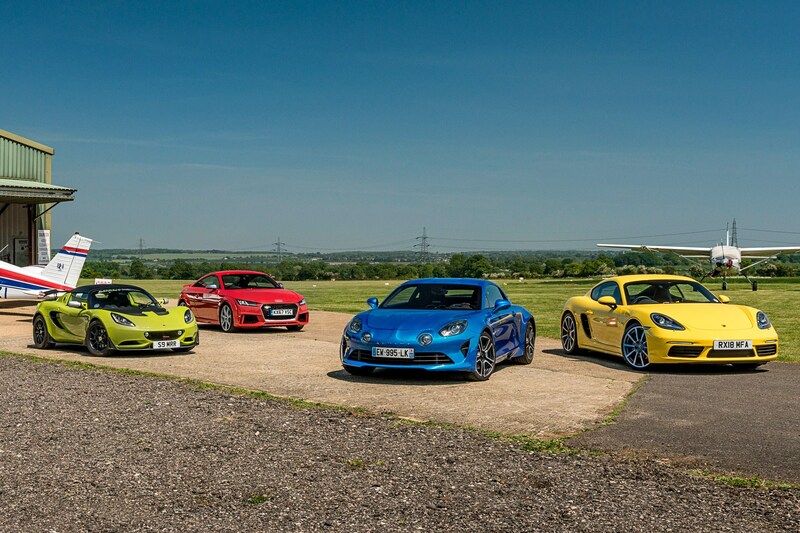 How does it measure up against the Porsche 718 Cayman, Audi TT RS and Lotus Elise? 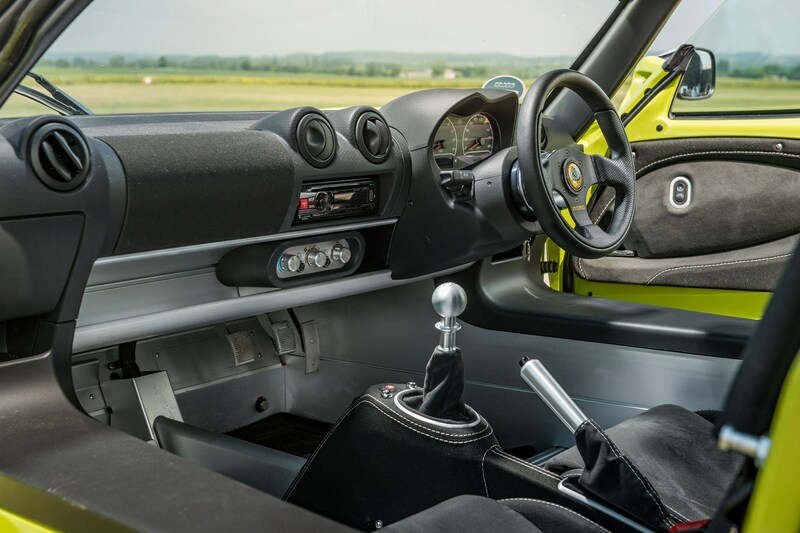 The A110 from reborn Alpine reached production despite management changes, collapsed development partnerships and interminable delays – and thank goodness it did. Renault Sport's modern reinterpretation of the classic A110 is amazingly good. The mid-engined coupe benchmark. 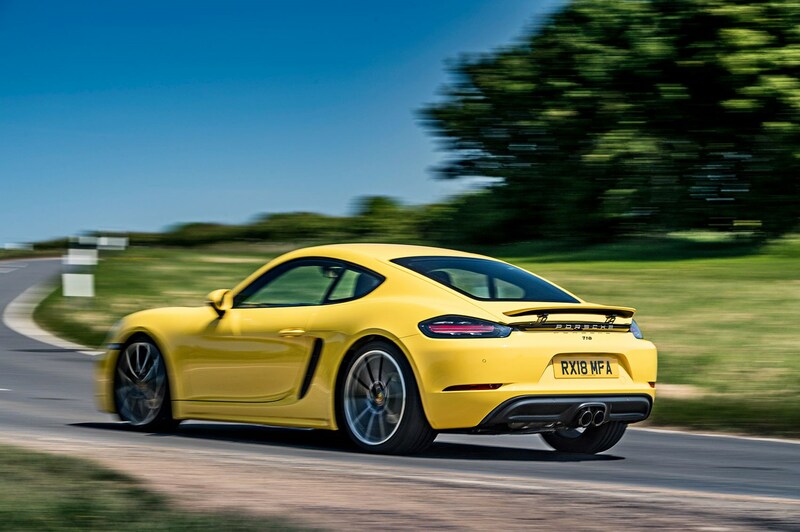 Not even swapping the charismatic six of old for a flat-sounding forced-induction four can spoil the Cayman. It handles better than ever, and remains one of the world's most talented sports cars. Two decent-sized boots, too. The ageing but still ace Elise in one of its most distilled forms: the 220 Cup removes further kilos from an already scant kerbweight, then pushes the Elise back into the tarmac with a race-derived aero kit. Now available in more powerful Cup 250 and 260 variants, just in case 233bhp per tonne isn't enough for you. 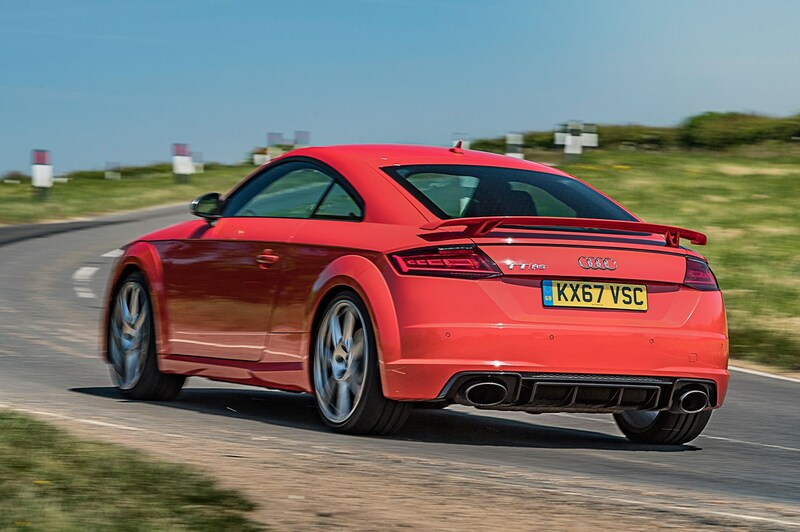 The fastest, most macho TT road car yet, with five cylinders and four driven wheels to put its near-400bhp through. But it's also the heaviest car here, and doesn't have the precision brought by a bespoke sports car platform, with a tall-roof/high-bonnet silhouette that betrays its mainstream VW Group MQB underpinnings. Not quite as affordable as we'd hoped. This one's loaded with kit and topping £50k. Entry-level Pure models will cost £45k or so, and weigh less than 1100kg. Reassuringly expensive, more like. Base 296bhp 718 Cayman starts around £43k, 345bhp 718 Cayman S from close to £52k. That's before options, though, and Porsche knows how to charge. Tick a few boxes and you could easily top secondhand-supercar money. Used to be. 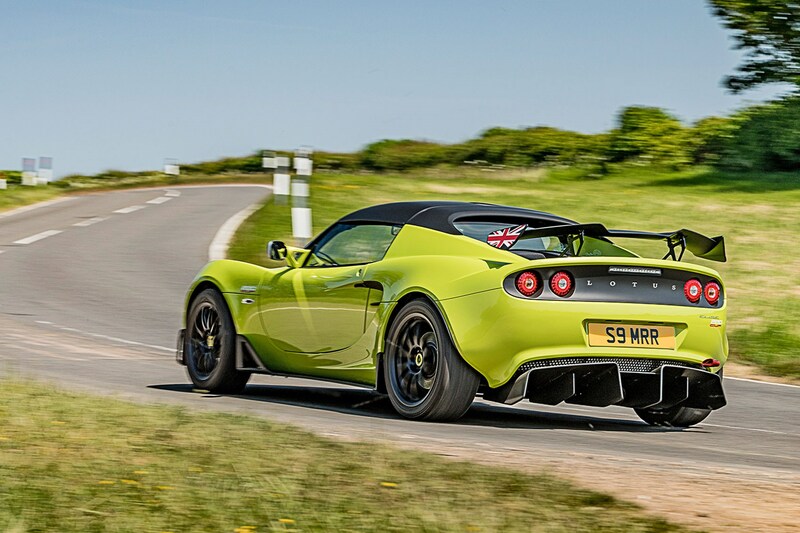 These days the Elise is a £40k-plus machine. Namby-pamby options like air-con and a stereo cost extra. Erm, no. The RS sits around the £50k mark and this particular test car topped a scary £61k after options, including 20-inch wheels and trick dampers. Top-fuel dragster or top fun in corners? The A110 is all about reducing weight rather than adding power. It's a real treat to drive. Like the Lotus and Cayman, ride quality is stunningly smooth, though there's a little more vertical movement and the front end can bobble over bumps. Rearward weight distribution gives an understeer bias, but weight transfer can tuck the nose in swiftly. Sublime handling from one of the best chassis on sale. Safe yet adjustable, with huge lateral grip and a malleable feel, it's a benchmark for rivals from all tiers. Optional PASM dampers glide over potholes, even on 20-inch wheels. Accelerates like it's hitched to a rocket sled, but the Elise really lives for corners. Wing, splitter and side skirts (with aircraft-style No Step markings – nice touch) contribute genuine downforce (66kg at 100mph) at speeds where most cars would be generating lift (or the driver would be jumping on the brakes to slow it down). It's the fastest car in a straight line, and it's seriously quick around corners, too, with so much grip it feels as if you can keep adding lock where other cars would be washing out. Its limits are way higher than the Alpine's, but it's not as much fun. Bare bones or lap of luxury? Some materials feel sub-par for a £50k car, but to concentrate on dash plastics in a car like this is to miss the point. The sense of occasion is spot-on, with supportive leather bucket seats that weigh only 16kg each. Interior has that enviable hewn-from-solid feel that runs through most Porsches, and fiddly air-con controls aren't enough to spoil it. The TT has a fancier multimedia system but the 718's recently updated screen works well enough. Elegantly minimal interior a study in aluminium extrusions, putting you right within the Elise's architecture, like sitting inside a Macbook. 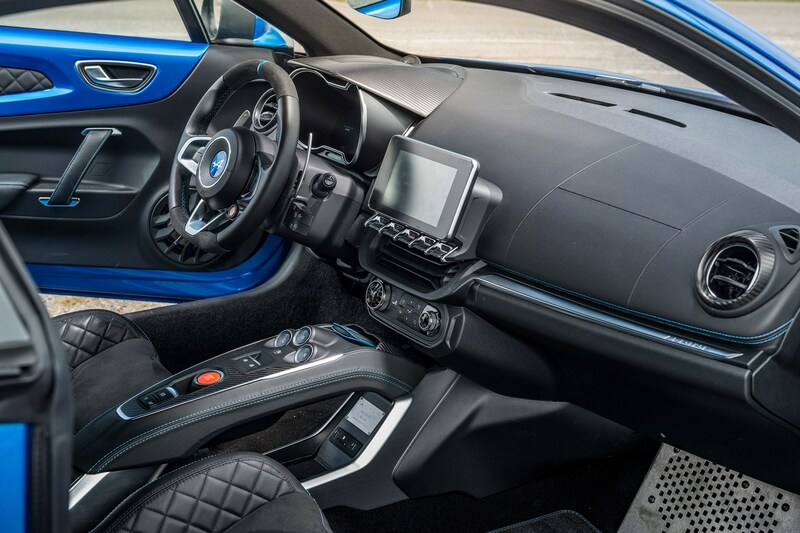 Naff-all mod cons; aftermarket-looking Alpine head unit costs extra, carpets likewise. Very much the latter. More quilted surfaces than an Andrex roll, and spangly aluminium trim like engine-turned houndstooth. Driving position feels sky-high compared to the others and some controls are a bit of a stretch. How does it feel to drive? Proof that performance cars don't need artificial weight or sped-up response. It's light yet full of feel, a car you drive with your fingertips, not your forearms. Contrary to its purist vibe the Alpine is paddleshift auto only, but it's effective enough that you'll rarely pine for a manual. Unlike the Alpine and TT RS, the 718 is available with a manual gearbox – and it's a doozy. There's lovely self-centring spring weighting to the lever, and perfect pedals to help you feel like a heel-and-toe hero. It sounds like a van at low revs, but gains a bassy character at higher rpm. Unassisted steering wriggles in your palms, supercharged throttle response is sharp but precise, pedals perfectly positioned for heel-and-toeing, and plenty of feel through the fade-free brakes. Ride quality uncannily comfy despite the track-focused set-up. Fast and fairly feelsome, with nice power steering. The huge brakes are effective, but have plenty of car to slow down and the pedal can get soft. It's the best-sounding car here, the five-pot's mellow bellow like a junior R8. Two boots like the Cayman, but they're both titchy; sole volume control is mounted on the steering column and gets in the way of the paddles; interior door-pull surrounds flex like you might pull them clean out of the doors if you're not careful... But drive it and you won't mind. There's a little lag below 2800rpm, but then it pulls like a tug o' war team; going turbo means the Cayman finally has some torque to go with its long gearing. You need to limbo your way in and out, and you might want to take a cushion for long journeys. But every drive will be memorable. Wins by a thread from the Alpine. More practical, arguably a better ownership proposition, and its inspiring handling is a cut above. But in the Alpine, the Cayman finally has a very credible alternative. Impressive, novel and extremely close to the Cayman. To drive one is to feel happy. Our kind of ‘connected car’. A bit too hairy and pricey for its own good, but the most exciting car here. Driving doesn’t get much more involving, or more fun, than this. 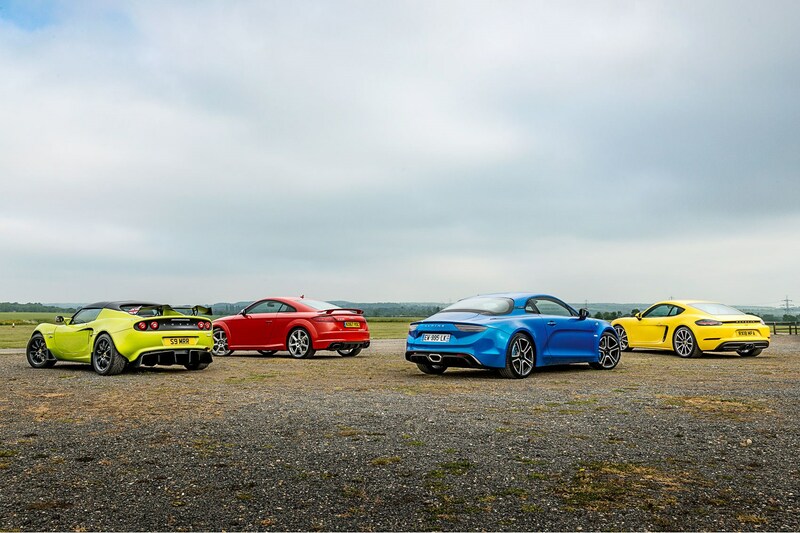 The best-driving TT yet is also the fastest and priciest of this foursome, with the most evocative exhaust note, but it’s short of driver involvement.